I find myself needing/wanting to send a different type of newsletter following the event of last week. It is important to begin with an enormous, heartfelt thank you. The Minnetonka community is truly second to none. The rallying support for all of our students, our schools, and our community is incredible. As hard as it is for any of us to send a message that contains very little details, my thanks go out to everyone for understanding that it is important and necessary to protect the rights of our children. Also, thank you to everyone who paused for a moment to reflect and recognize that raising teenagers is not an easy job. Our kids make mistakes; sometimes big mistakes. It is our job to hold them accountable yet help them learn from their mistakes and help make our world a better place. It is my intent to do both. As we all know, raising kids today is far from easy. Now, more than ever, it is important to be aware of your child’s friendships and of their online presence. It’s not an option to not know what they are doing online or with their friends. I still worry about my kids and they are 23 and 24. Through my years, I have tried hard to never say never. Each time I do, I am proven wrong. One of the things I most enjoy about being a middle school principal is the opportunity I have to connect with our kids. As often as I am able, I sit with kids in our lunchroom and talk with them about lots of topics including their technology use. I talk about the difference between productive use and use for fun. I strive to have them talk about how they continue to find the balance between online interaction and face-to-face interaction. I share the results from my technology use report that comes each week. I also ask them about theirs, if they receive one. I let them know that I aim for a decrease each week and I share the results with the kids. Thank you for the outpouring of support for our school. I know it takes trust to believe that we will always do whatever we can to keep our kids safe. I will not, nor will my colleagues, knowingly put our kids at risk. I believe in our kids, their future, and in the ability of our community to help support each student. Nutrition Services is looking for YOU to join our team in providing nutritious school meals to our students. You have the advantage of being home to see your children off to school and be back in time to welcome them home! Other benefits include: Competitive wages- $15.13/hr; Follow the school calendar – you’re home when your children are home; work in your community; fun and friendly managers and staff; uniform allowance; paid holidays; free lunch; and most importantly- NO weekends or evening hours! To apply please visit the District website at: www.minnetonkaschools.org and view the openings for Cook Helpers under Nutrition Services. We look forward to hearing from you! MMW Yearbook – Order now to avoid the end-of-year scramble! The 2018-19 MMW Yearbook is now available to pre-order. The cost is $30 and they will be delivered to MMW in late May. ClickHERE to place your order. Make sure to retain your e-mail receipt! On Monday, November 12 from 6:30-8:00pm, there will be a panel in the Minnetonka High School Forum featuring Kim Oelhafen of Tonka CARES, Kristen Ackert from the Association of Non Smokers Minnesota, along with the MHS Administrative Team and student support staff. We encourage you to take part in this event and to also to access the resources provided by Tonka Cares linked here to help you learn more about vaping and e-cigarette use prevention. This information will better equip you to have discussions with your student about vaping and to know when it may be an issue for your student. 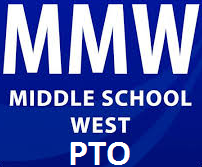 Click HERE to check out the MMW PTO website. Guest speaker Dr. Michelle Borba is an internationally-renowned educational psychologist, award-winning author and regular NBC contributor. She shares why empathy is a skill that’s vital for children’s mental health, resilience, leadership skills and long-term success. This event is FREE to attend, but space is limited. Please register using the link below to save your spot! Tickets on sale now for Minnetonka Foundation’s Tour of Tables, presented by the General Store of Minnetonka, on Friday, November 16 at The Lafayette Club. This delightful ladies luncheon features an array of beautifully decorated tables, each with their own theme. You can also shop from several local businesses and enjoy a short fashion show during lunch. Grab some friends and be a part of this great event to support Minnetonka schools. For more information, schedule for the day, list of table themes and to reserve your seat by November 11, go to www.minnetonkafoundation.com. Previous November Staff Appreciation Breakfast: Signup!